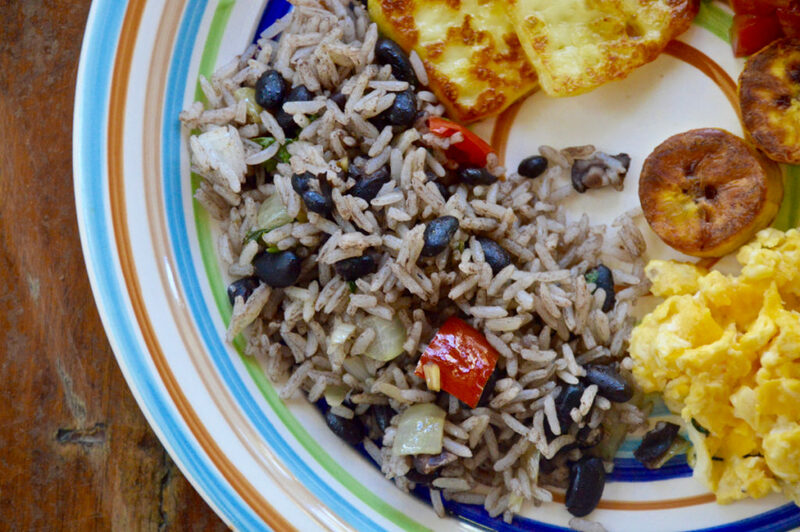 Gallo pinto is considered a Costa Rican breakfast staple, which is partly why I categorized this as breakfast, but gallo pinto can be enjoyed at any time of day! It is a traditional dish meaning "spotted rooster" because the dish looks like, you guessed it, a spotted rooster. There are two rules I have learned about real, authentic gallo pinto. One, you should always use day-old cooked white rice, and two, you HAVE to use traditional Lizano sauce. It's the only way. The other ingredients are generally onion, pepper, garlic and cilantro (and maybe a little salt), but some add chicken, bacon or use chicken stock to add more flavor. In my opinion, all this recipe needs is the bare minimum - let the flavors speak for themselves! 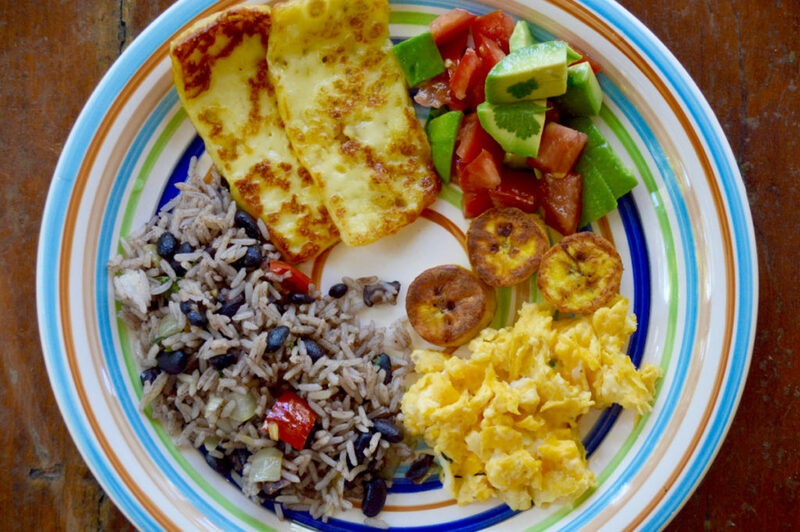 The other day we made a traditional Costa Rican breakfast with my good friend Katya, who showed me how to make the traditional gallo pinto. 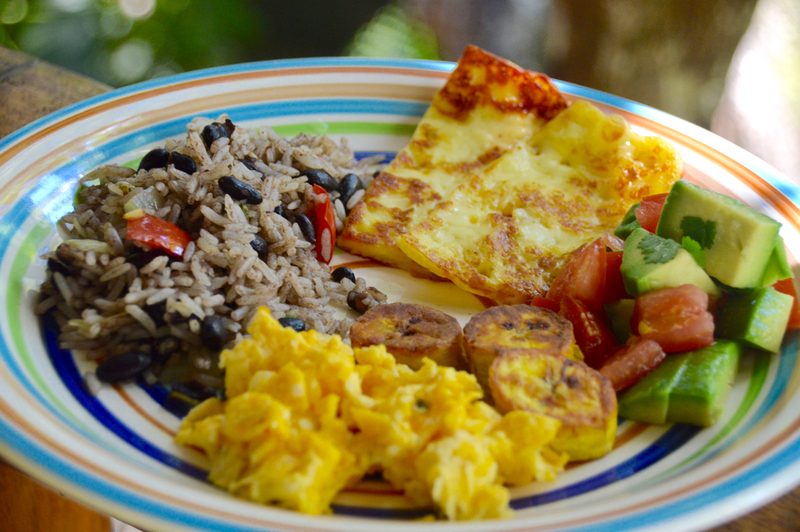 and of course, the gallo pinto. The lizano sauce is a staple to add the right flavors to this dish. 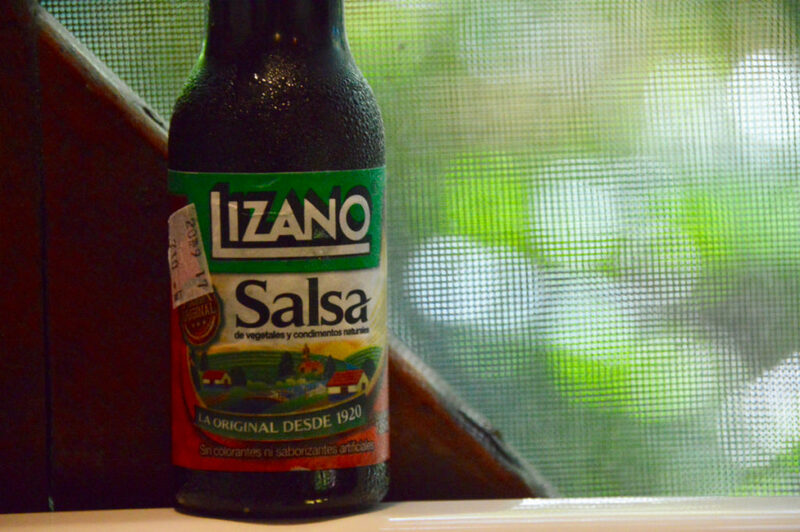 You can pretty much find this salsa/sauce anywhere you go down here, or if you're not here, check the international section in the grocery store. The general ratio of rice to beans is two cups of rice to one cup of beans. When I make beans, there is usually a little bit of liquid along with them, which is good because you don't want the rice mixture to dry out. 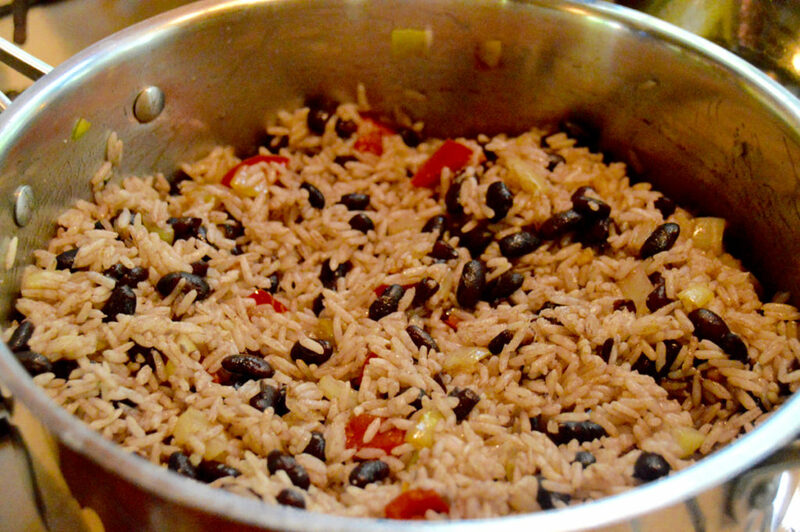 The rice should be cooked the day before so that it cools down and basically won't turn to mush when you cook it again in the gallo pinto. 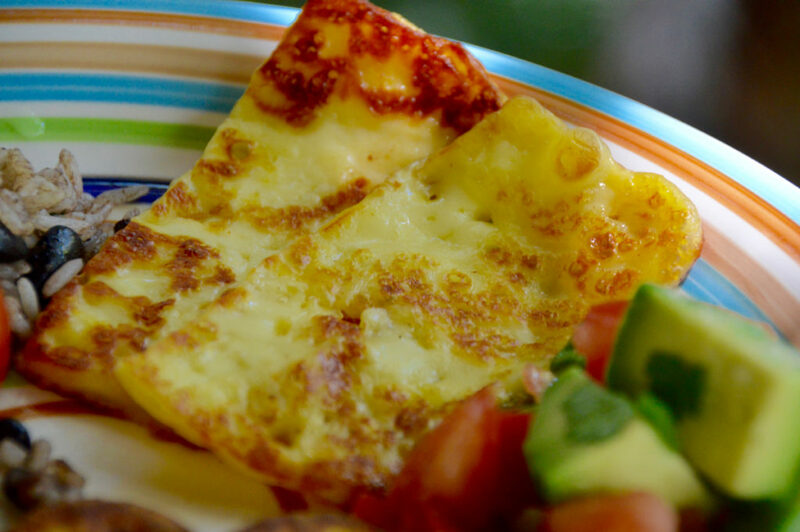 The cheese that you saw is a local favorite, similar to halloumi cheese, in that it fries really well without melting. 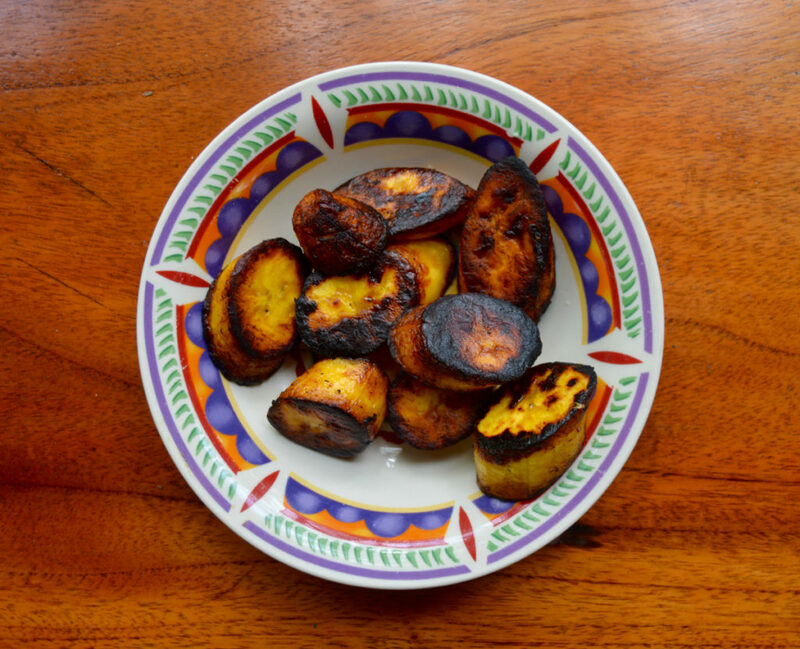 It's the perfect amount of saltiness too, and you'll see it on most breakfast plates along with the gallo pinto, eggs and fried plantains. 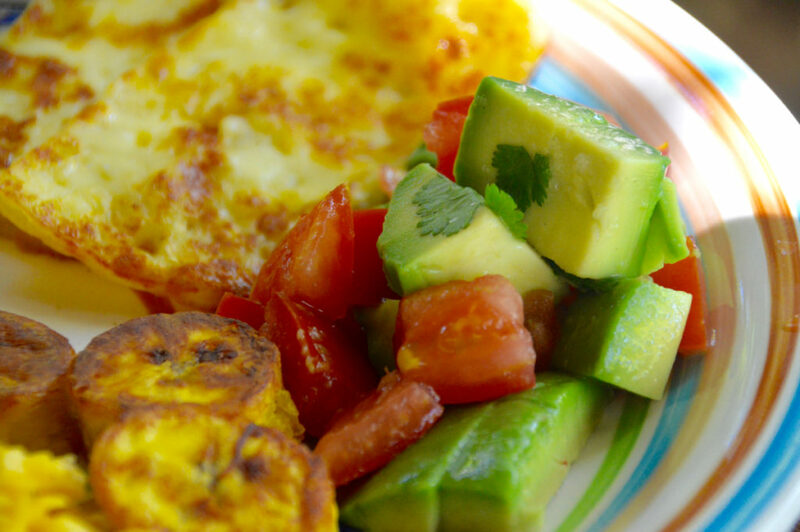 Even back at home, this is easy and delicious to try at any time of day. 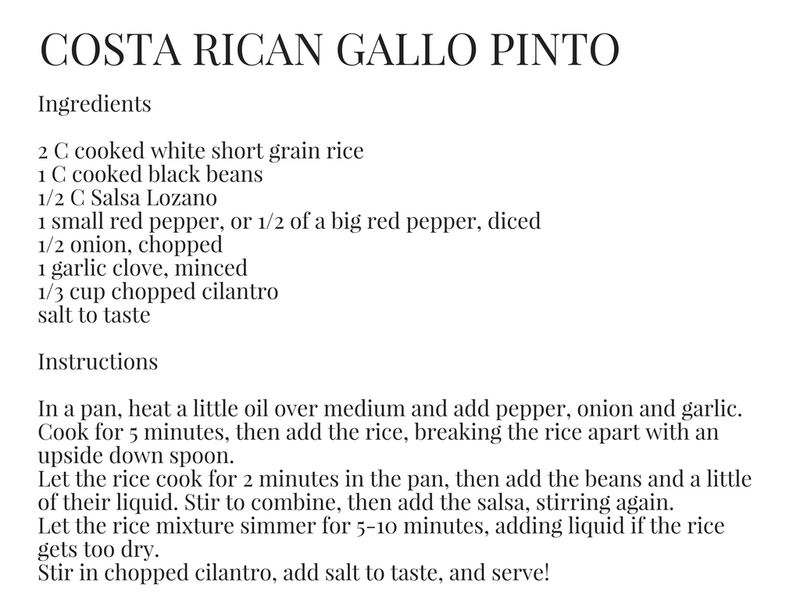 You can click the photo below or click here to print the recipe!